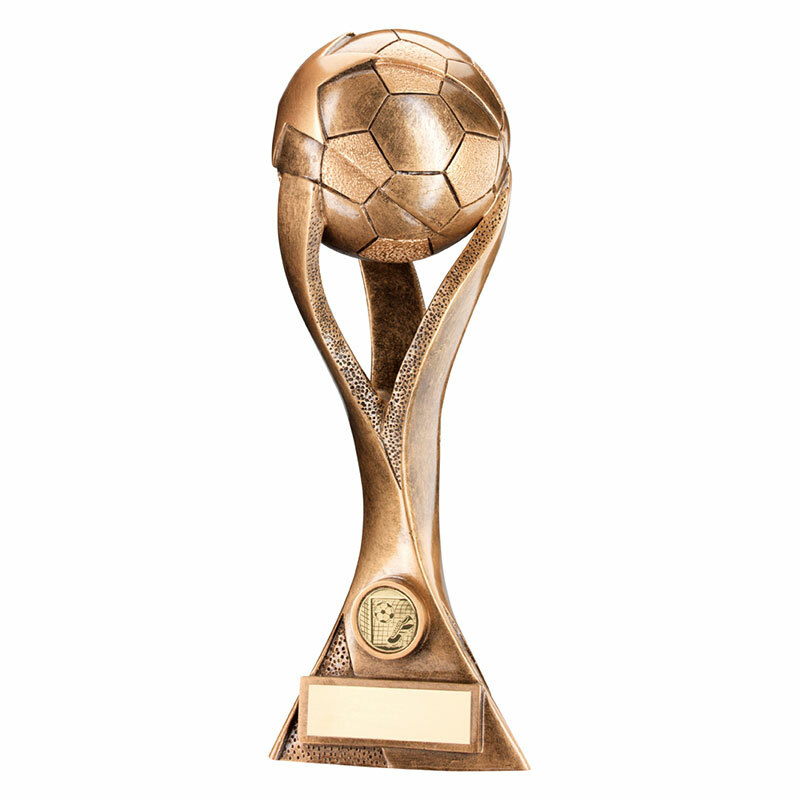 These stylish modern soccer trophies are suitable as competition or tournament awards, or for individual player prizes. 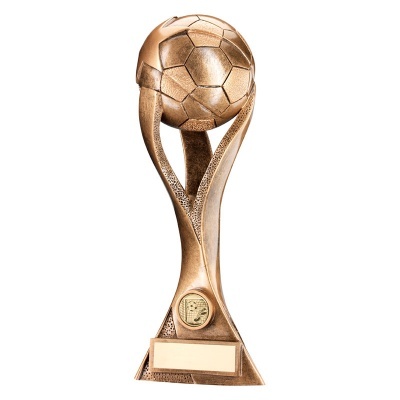 Crafted in durable resin and with an attractive antique bronze colour finish, they feature a detailed fully 3D figure of a football set on an organic three-pronged stem and with an engraving plaque at the base. Stands 11.5in tall, offered with text and/or logo engraving options.